Your kids will love this friendly Candy Corn Man. Easy to follow instructions are included so you can help your little one make one to have for their very own! Kids will love this Happy Candy Corn Craft! Use strips of paper folded accordian style, to attach the hands and feet to the body. It’s as simple as that! Your Candy Corn Man will be ready to play with the kids or decorate your home or classroom! 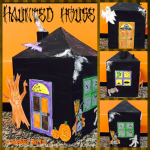 Thanks for sharing this fun craft! Found you on Weekend Wind Down link party. So glad I did, because I can’t wait to do this activity with my 4-yr old! Jennifer – You’re welcome! 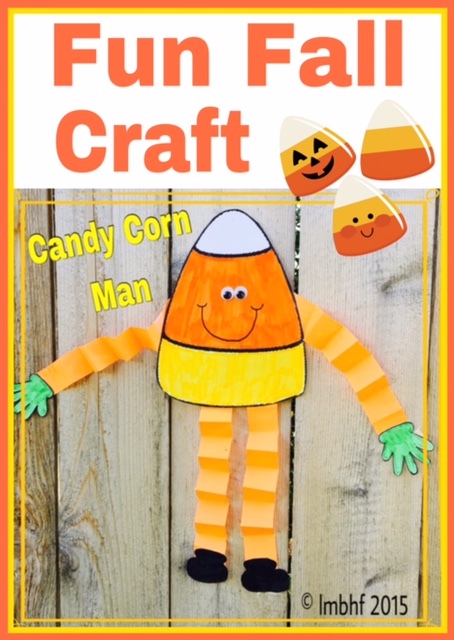 I hope you and your little one have fun making your own Candy Corn Man! This is adorable!!! Just wanted you to know that you’re being featured at the WEEKEND WIND DOWN LINK PARTY tonight at 6pm EST! Hope to see you there again! Thanks for linking up with us! Have a wonderful day! Danielle – Thank you!! I just love Candy Corn Man! Thank you too for the hosting the WEEKEND WIND DOWN LINK PARTY. I will definitely be back often.